Matrox today introduced Matrox DS1, a Thunderbolt docking station that brings all the productivity benefits of a desktop computer to MacBook and Ultrabook users. From a single Thunderbolt connection, users can add multiple peripherals including a large DVI or HDMI® display, a full-size keyboard, and a mouse. A gigabit Ethernet port provides connectivity to a wired corporate network, enabling data transfers 18 times faster than Wi-Fi™. One SuperSpeed USB 3.0 port, two USB 2.0 ports, a microphone input, and a speaker/headphone output are also provided. 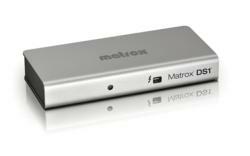 With its solid aluminum construction, yet sleek design, Matrox DS1 is ideal for office, dorm, or home use. Matrox DS1 will be showcased at Computex Taipei 2012 in the Intel booth, M0410 – located in the NanGang Exhibition Hall. Matrox today introduced Matrox® DS1™, a Thunderbolt docking station that brings all the productivity benefits of a desktop computer to MacBook® and Ultrabook™ users. From a single Thunderbolt connection, users can add multiple peripherals including a large DVI or HDMI® display, a full-size keyboard, and a mouse. A gigabit Ethernet port provides connectivity to a wired corporate network, enabling data transfers 18 times faster than Wi-Fi™. One SuperSpeed USB 3.0 port, two USB 2.0 ports, a microphone input, and a speaker/headphone output are also provided. 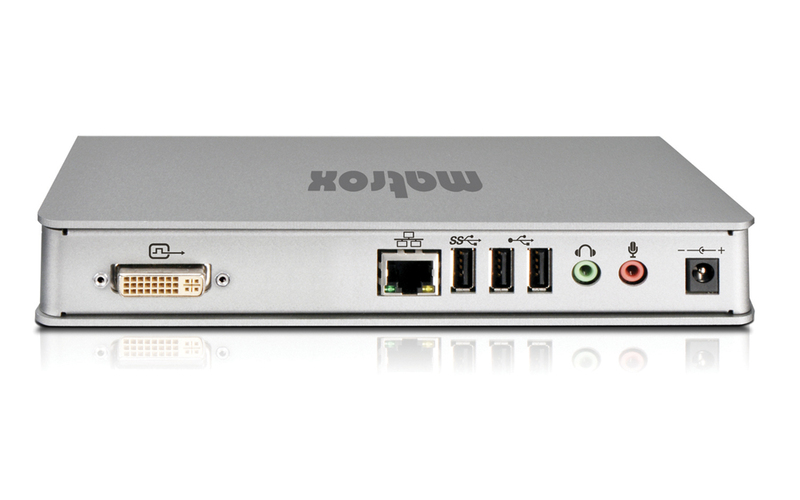 With its solid aluminum construction, yet sleek design, Matrox DS1 is ideal for office, dorm, or home use. Priced at $249 US (€219, £169) not including local taxes and delivery, Matrox DS1 will be available through a worldwide network of authorized dealers beginning in September. Matrox is a world leader in graphics, imaging, and video technology providing an extensive array of real-world relevant OEM and end-user solutions to businesses and individuals across a diverse range of professional markets including media and entertainment, finance, digital signage, medical imaging, manufacturing, factory automation, security, government, and enterprise computing. Headquartered in Montreal, Canada, the privately owned company operates on a global scale with representation and offices in the Americas, Europe, and Asia. For more information visit http://www.matrox.com. Thunderbolt and the Thunderbolt logo are trademarks of Intel Corporation in the US and other countries. Matrox is a registered trademark and Matrox DS1 is a trademark of Matrox Electronic Systems Ltd.